In business for over 25 years, Faith Auto Glass & Tinting is one of the most trusted providers of . . . Faith Auto Glass & Tinting is Riverside County's go-to source for sunroof and power window repair . . . Faith Auto Glass & Tinting specializes in repairing broken side and rear auto glass for cars, trucks . . . 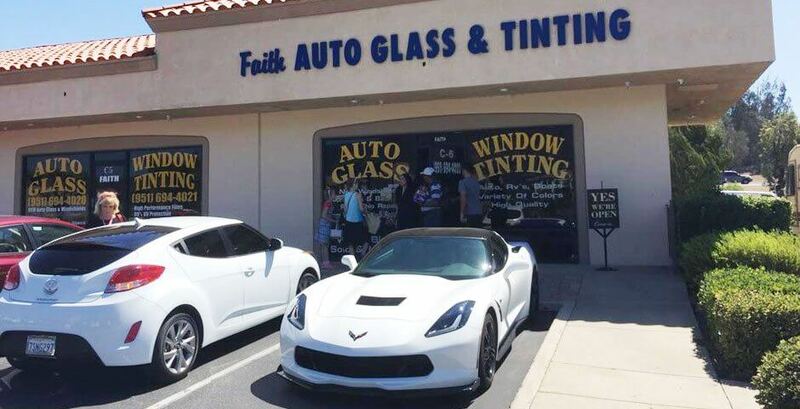 Welcome to Faith Auto Glass & Tinting, Riverside County's automotive glass and window tinting experts since 1989. Over the last 27 years, we've served more than 100,000 satisfied clients throughout Temecula, Hemet, Murrieta, Wildomar, Menifee, Sun City, Fallbrook, Winchester, and Palma. Our superior results, exceptional customer service, and competitive prices have earned us stellar reviews on Yelp and numerous dealer accounts. We specialize in windshield replacement, windshield chip/crack repair, window tinting, power window repair, sunroof replacement and repair, and headlight restoration. Our technicians have an average of 15-40 years of experience and our glass installers have all been trained and certified in OEM-approved auto glass replacement methods by Dow Automotive Systems. We welcome cars, trucks, SUVs, and RVs of all makes and models, and back all our windshield and side/rear glass installations with a lifetime warranty on labor. A car's windshield plays a critical role in the car's structural integrity and passenger safety. It is integral to most modern cars' safety restraint system, helps keep passengers from getting thrown from the car in an accident, and supports the roof so that it doesn't collapse during a rollover collision. 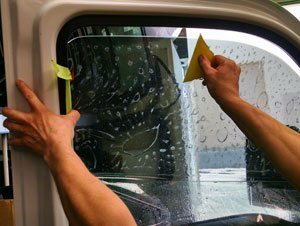 For all these reasons and more, you always want to have an experienced and reputable auto glass company provide the windshield repair or replacement services you need. We offer windshield replacement on vehicles of all makes and models, including mobile homes and RVs. At Faith Auto Glass & Tinting, we adhere to the highest of industry standards for windshield replacement and repair. 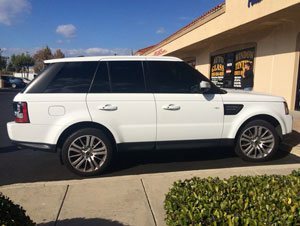 Our experienced installers always use high-quality original equipment manufacturer (OEM) or original equipment equivalent (OEE) auto glass, Dow Automotive Systems adhesive (which offers bond strength equal to that of the manufacturer's original windshield installation), and OEM-approved auto glass replacement methods. Windshield replacement is usually done within 24 hours, but we also offer a polyurethane than can be completely dry in one hour. Once we are done with the installation, your new windshield will look and function like new. Alternatively, if your car's windshield has a small crack, chip, star, or bullseye, you can bring it in for our fast and affordable chip repair service. 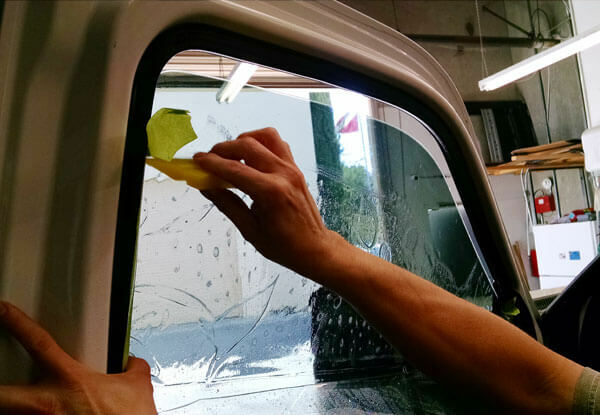 As Riverside County's local auto glass specialists, we also offer superior-quality window tinting services at a great price. We can sell and install factory-tinted glass or apply custom tinting to windshields, sunroofs, side windows, and rear windows. Tinting can be done in a range of colors and applied to any car glass. We'll help you get the right amount of shade and privacy you are looking for and guide you on how much tinting is allowed for your city. Book Auto Glass Repair, Windshield Replacement, or Window Tinting Today! We are trusted by many local car dealerships and excel at working all all makes and models of cars, trucks, tractors, and RVs, including classic cars and high-end, exotic cars. 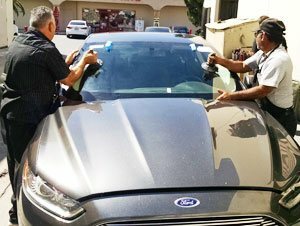 Call licensed and insured Faith Auto Glass & Tinting today for all your auto glass repair, replacement, and tinting needs in Temecula, Hemet, Menifee, Murrieta, Wildomar, and surrounding areas. By offering exceptional quality workmanship at highly competitive prices, our family-owned and -operated business delivers the Inland Valley's best value in auto glass repair and replacement. We're open Monday through Saturday, from 8:00 am to 5:00 pm, and complete every job in a timely manner without ever sacrificing quality or safety. We offer free estimates and are approved by all major auto insurance companies. Thank you to Fernando for doing such a beautiful job on my tint. It couldn't have turned out better. It looks amazing! Thank you for the amazing deal. I will forever you give you my services and I will be referring you to everyone . . . Faith Auto Glass provides affordable custom window tinting for cars, boats, and RVs. We are a family-owned and -operated auto glass shop with more than 25 years of experience. We provide free estimates and can usually accommodate same-day requests.